Video of living neurons recorded over several days. 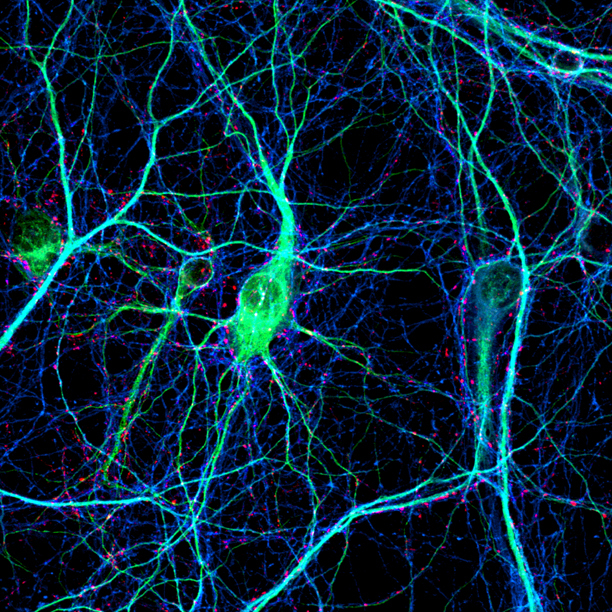 The movie begins by showing neurons in their development stage, dividing and then growing out axons and dendrites. In the second part it reveals their electrical activity. 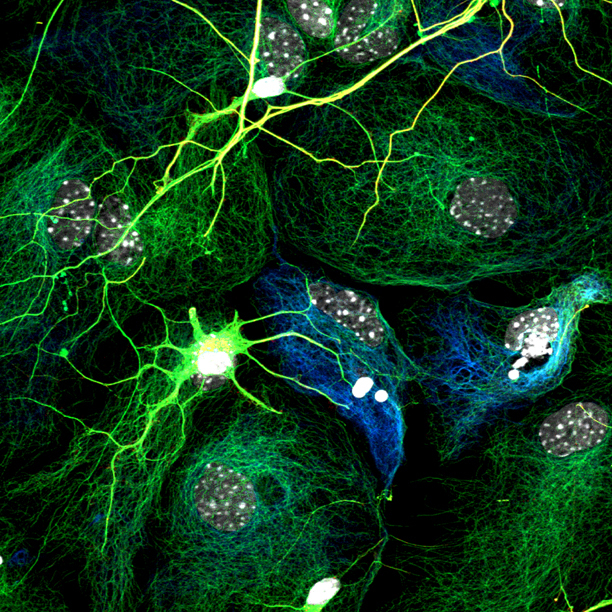 The cells light up every time they fire, thanks to a special molecule that becomes fluorescent when it binds calcium.